"Whatever were the Queen's relations with Dudley before his wife's death, they became closer after. It was reported that she was formally betrothed to him, and that she had secretly married him in Lord Pembroke's house, and that she was a mother already."  January, 1560-1. 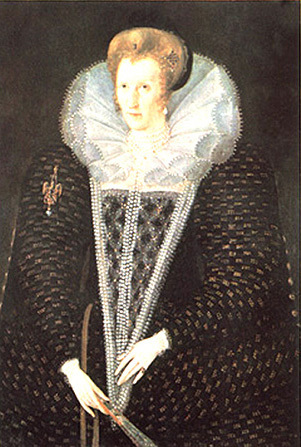 "In 1562 the reports that Elizabeth had children by Dudley were revived. One Robert Brooks, of Devizes, was sent to prison for publishing the slander, and seven years later a man named Marsham, of Norwich, was punished for the same offence." ..... rancis Bacon wrote the Earl of Essex very fully a letter of great significanceas remarkable as any of his writingsin which he told Essex he must mend his ways, his attitude to the Queen. It is almost sufficient to tell any student of psychology that Francis Bacon was the author of the Shakespeare Plays. Only a Master-dramatist who had studied the complex heart of humanity could have composed it. Very specifically, with the sure touch of the psychological-dramatist, Francis Bacon teaches his younger brother how he may gain his ends from the Queen without appearing to force her Will in any way...... or to trench on her Prerogative of which she was so jealousy proud. It is not the letter of one friend to another, of a mere counselor to an Earl. It is the letter of an elder brother to a younger, one in which the writer sees the dangerous course that is being pursued. There is a note of agitation and gravity running throughout. Robert was surrounding himself with followers of a questionable nature, whose influence by their thoughtless views might crash into the dust all Francis's hopes for the advancement of England; all his idealistic plans might be ruined and with it the Earl himself if he listened to their irresponsible opinions. This is the spirit in which the letter was conceived. It is too long to quote in full but it can be read in Spedding's Life and Letters, Vol. II, pp. 40-50. I desire, before you give access to my advice, to consider first, whether I have not reason to think that Your Fortune comprehendeth mine....whether you have taken hurt at any time by my careful and devoted counsel... I do not repent me of safe counsel neither do I judge of the whole play by the first act. But whether I counsel you the best,or for the best, duty bindeth me to offer to you my wishes. I said to your Lordship last time, Martha, Martha, attendis ad plurima, unum sufficit (Attend to the one thing needful); Win The Queen : If this be not the beginning, of any other course I see no end. I will not speak of Favour of Affection but of other correspondence and agreeableness; which, whensoever it shall be conjoined with the other of Affection, I durst wager my life that in You she shall come to the question of what shall be don to the man whom the King delighteth to Honour? But how is it now? A man of a nature not be ruled; that hath the advantage of My Affection, and knoweth it....of a popular reputation, of a military dependence : I Demand whether there can be a more dangerous image than this represented to any monarch living, much more to a Lady of Her Majesty's apprehension? Whilst this impression continueth in Her Majesty's breast, you can find no other condition than Inventions to keep your estate bare and low...crossing and disgracing your actions.....blasting your merit...carping with contempt at your Nature.... thrusting you into odious Employments and Offices to supplant your reputation.... abusing you and Feeding You with Dalliances and Demonstrations to divert you from descending into the serious considerations of your own case; yea, and percase venturing you in a perilous and dangerous enterprises. I have noted you to fly and avoid ( in some respect justly) the resemblance or imitation of my Lord Leicester and my Lord Chancellor Hatton; yet I am persuaded that it will do you much good between the Queen and you to allege them-- as oft as you find occasionfor author and patterns. For I do not know a readier mean to make Her Majesty think you are on the right way. Then follows much particular advice as to the manner he should adopt when in the Queen's presence...... even to trivial details. And the lightest sort of particulars, which yet are not to be neglected, are your habits, apparel, wearings, gestures, and the like. The impression of greatest prejudice is that of military dependence. This is manifestly no ordinary letter. It cannot be adequately understood unless the true motive and the underlying conditions which prompted its composition be recognized... the secret asides, the undermeanings of the phraseology. The spirit of agitation which pervades the missive is not that of a mere counsellor tendering formal advice to a patron how best to keep the good graces of his Sovereign. The writer is describing a situation which threatens to engulf them both in ruin for "your Fortune comprehendeth mine." The prize that Essex is going to lose is the "Succession." It is not merely the favour of his Sovereign that is in jeopardy but something bigger--nothing less than "this Royal Seat of Mars" which he will never occupy unless he mends his ways; and the writer's own vast plans are also in jeopardy , which, as arranged, are contingent on Robert's fortune. In 1596 the question of the "Succession" was still of paramount importance. The Tudor Sun was slowly sinking in the West. Elizabeth, aged sixty-four, had still avoided naming her successor. She would not allow the question to be broached by anyone. By never a hint had she given of the choice in her mind. The disastrous wars of the Roses were still in the nation's mind. No one wanted another war; and a section of the Queen's advisors played on Elizabeth's mounting fears of a coup d' e'tat , a military dictatorship by the only possible warlike Lord--hence the absolute necessity that Essex should disarm such suggestions by concentrating on a Civil post, thus refusing to allow himself to be thwarted in his legitimate aspirations for the Throne as the named "Successor." How clear, then, becomes the importance of this letter...."Win the Queen" by showing her you are worthy of the English Crown by your sobriety of conduct, judicial temper and the likeotherwise , "What will the End be for both of us? Our respective ambitions will be trailed in the dust and we may be ground to powde." disclosures that might be injurious to living persons (e.g., heirs of Essex) we may safely conclude that there were even more direct passages probably suppressed that would have made the relationship of the two men to the Queen absolutely overwhelming. Above all, the letter shows how well-founded were Francis Bacon's fears of the Earl's dabbling in military glory. It brought Robert, as we shall see, to the Block and his mother to her death-bed in an agony of remorse for her dead boy. It is very necessary to dwell on this rather fully because it is from this point that Essex slowly began to "gang his ain gait"..... rejecting the wiser counsels of his elder brother. It is very necessary to make it clear that Francis Bacon never offered any immoderate advice to the Earl. Over the Cadiz exploit he made the cautious remark of being "infinitely glad now it was past." Robert Essex would have been the last to have imputed any blame to Francis Bacon for his subsequent ill-fated career. He was warned repeatedly and the strictures of later critics are as valueless as they are misleading. 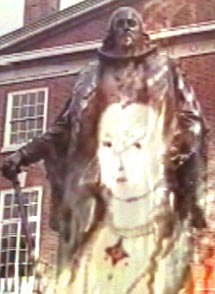 If Essex had only taken Francis Bacon's advice how the course of history would have been altered. He would have won the Succession. The idealism of Francis would have realized itself in numerous ways ; bases laid for the building of humanitarian Temples of Science, etc. The Stuart Regime with its corruption and shame that began with James would never have been established. The disastrous Civil Wars of Cavalier and Roundhead would never have drenched England in blood. Out of the dead ashes of Feudalism, Francis Bacon's Idealism would have ushered in a New Age on wings of Fraternity and Liberty, Education and Charity. His advice would have "corrected the defects of Essex's character and have made his fortune secure." Self control and submission would have taught him constancy and composure.